A well thought-out garden design with light makes outdoor areas seem magical at dusk. This is achieved with indirect light sources. Lighting elements in the garden make the outdoor area even more attractive in the evenings. Because garden lights can create moods. Garden light, however, can fulfill various purposes that one should think about before. Are individual light accents desired or should large areas be illuminated? Lights with motion detectors also ensure safety. In the course of landscaping you can illuminate paths very nicely. This is possible, for example, with spotlights close to the ground, LED lights or sensor lights that switch on automatically when they move. But pillar-shaped pillar lamps, bollards and pedestal luminaires are also ideal for path lighting. They directly irradiate the pathway without dazzling. Therefore, they will be installed at shorter intervals. They are also ideal for illuminating single steps or staircases in the garden. The sitting area in particular would like to be used after dark. For sufficient brightness, in order to be able to dine if necessary, here provides a general lighting by a light source on the house wall. Small lights with dim light provide atmospheric light sources. Candles emphasize the romantic mood. So they do not go out when it gets drafty, they find room in lanterns. Floating candles can be placed in water-filled ball vases, creating a delightful table decoration, which also provides a pleasant light. 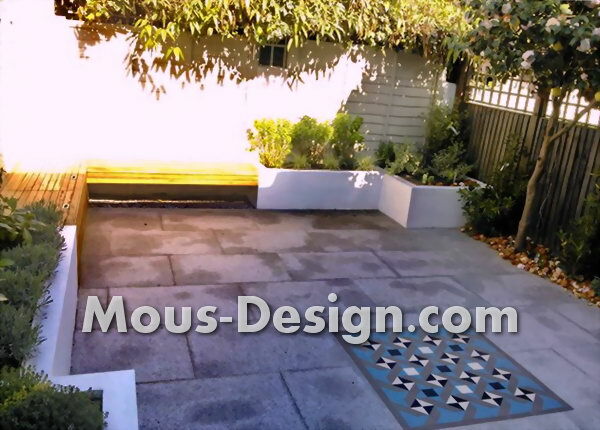 Light sources can provide in the garden design for special impressions. Indirect lighting means, for example, placed between flowers or behind wall projections, can be almost mystical and mysterious. Spike emitters set accents by illuminating garden statues. Water features can also be set with floating ball lights. Romantic weatherproof LED garden light chains are expressive everywhere. For example, they can be stretched freely over seats or between trees.